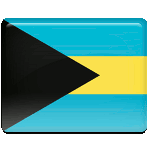 January 10 is a public holiday in the Bahamas. 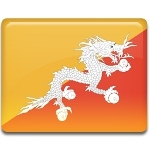 This day is the Majority Rule Day, that marks the anniversary of Progressive Liberal Party coming to power in 1967. 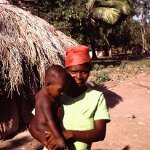 January 10 is Voodoo Day in Benin. This holiday is also called Traditional Day, Fête du Vodoun, Vodoun Day or Traditional Religions Day. 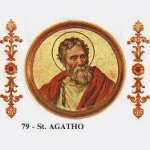 January 10 is Pope Agatho Feast Day. This day commemorated Pope Agatho who was venerated as a saint by Catholic and Eastern Orthodox churches. There are many chocolate-related holidays in every month. 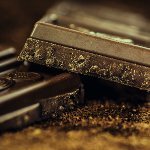 Among them is National Bittersweet Chocolate Day that falls on January 10. All chocolate lovers should pick up a chocolate bar and celebrate this day! 2018 Died: Eddie Clarke, British guitarist who was a member of heavy metal bands Fastway and Motörhead. Of Motörhead's classic lineup, he was the last surviving member. 2016 Died: David Bowie, English singer, songwriter, multi-instrumentalist, record producer, arranger, painter, and actor. He was a figure in popular music for over four decades, and was known as an innovator. 2013 Several bomb blasts in Pakistan killed more that 100 people and injured 270. 2007 Died: Carlo Ponti, Italian film producer. He produced over 140 Italian films and made his wife Sophia Loren famous. 2005 U.S. Route 101, the main coastal corridor between Los Angeles and San Francisco, was closed for 10 days due to a mudslide. The mudslide killed 10 people and injured many more. 2004 Died: Alexandra Ripley, American author. Best known for her books Scarlett and Gone with the Wind. 1997 Died: Alexander R. Todd, Scottish chemist, Nobel Prize laureate for research on the structure and synthesis of nucleotides, nucleosides and nucleotide coenzymes. 1984 The United States and Vatican City re-established full diplomatic relations after almost 117 years. This overturned the United States Congress's 1867 ban on public funding for such a diplomatic envoy. 1976 Died: Chester Burnett, American singer-songwriter and guitarist known as Howlin' Wolf. He is one of the best-known Chicago blues artists. 1971 Died: Coco Chanel, French fashion designer and founder of Chanel. She is credited with liberating women from corsets and popularizing the acceptance of a sportive, casual chic as the feminine standard in post-World War I era. 1962 NASA announced the plans to build the C-5 rocket launch vehicle. This vehicle became better known as the Saturn V Moon rocket that launched every Apollo Moon mission. 1961 Born: Steve Hamilton, American author. He is one of the most critically acclaimed writers in the world and one of only two authors to win Edgar Allan Poe Awards for Best First Novel and Best Novel. 1957 Died: Gabriela Mistral (original name Lucia Godoy Alcayaga), Chilean poet and educator, Nobel Prize laureate for her lyric poetry which has made her name a symbol of the idealistic aspirations of the entire Latin American world. 1955 Born: Michael Schenker, German guitarist who got his fame as an early member of the Scorpions. 1951 Died: Sinclair Lewis, American author and playwright, Nobel Prize laureate. His works are known for critical and insightful views of American capitalism and materialism. 1946 The first General Assembly of the United Nations opened in London. 51 nations were represented. 1946 Successful conduction of Project Diana: the United States Army Signal Corps bounced radio waves off the moon and received the reflected signals. 1945 Born: Gunther von Hagens, German anatomist. Best known for his invention of plastination, the technique for preserving biological tissue specimens. 1939 Born: David Horowitz, American activist and author, founder of the David Horowitz Freedom Center and editor of FrontPage Magazine. 1936 Born: Robert Woodrow Wilson, American physicist and astronomer, Nobel Prize laureate for discovering the cosmic microwave background radiation. 1929 The Adventures of Tintin were first published in Belgium. The Adventures was one of the most popular European comic books of the 20th century. 1920 The Treaty of Versailles took effect that became the official end of World War I. 1919 Born: Milton Parker, American businessman and co-founder of the Carnegie Deli. Today Carnegie Deli is the most visited restaurants of its type in New York. USA Today called this restaurant the "most famous" deli in the United States. 1916 Born: Sune Bergström, Swedish biochemist, Nobel Prize laureate for discoveries concerning prostaglandins (group of hormone-like lipid compounds) and related substances. 1870 Standard Oil, the largest refiner in the world, was incorporated by John D. Rockefeller. Corporation ended its existence in 1911 when the U.S. Supreme Court ruled that Standard Oil was an illegal monopoly. 1863 The London Underground, the world's oldest underground railway, opened between London Paddington and Farringdon stations. 1862 Died: Samuel Colt, American businessman, founder of the Colt's Manufacturing Company. He made the mass production of the revolver commercially viable. 1850 Born: John Wellborn Root, American architect. He designed the Rookery Bidding and Monadnock Building, the historic landmarks in Chicago. 1833 Died: Adrien-Marie Legendre, French mathematician. He made numerous contributions to mathematics. Such important concepts as the Legendre polynomials and Legendre transformation are named after him. 1778 Died: Carl Linnaeus, Swedish botanist and zoologist. Linnaeus laid foundations for the modern naming scheme of binomial nomenclature. Also he is considered as the father of modern taxonomy. 1776 Bron: George Birkbeck, English doctor and academic. He was a pioneer in adult education founder of Birkbeck, University of London. 1729 Born: Lazzaro Spallanzani, Italian biologist and physiologist. He made important contributions to the experimental study of bodily functions, animal reproduction, and essentially animal echolocation.